The tech industry sees a major business opportunity in increased allocation for the BharatNet project. It appeared like a tiny top-up to a Budget that was brimming with too many bottom-of-the-pyramid allocations. Nevertheless, it must have had technology industry bigwigs close to salivating. In his Budget speech, Finance Minister Arun Jaitley announced that he would step up the allocation for the BharatNet Project - a nationwide optic fibre network being laid - to Rs10,000 crore in 2017/18. 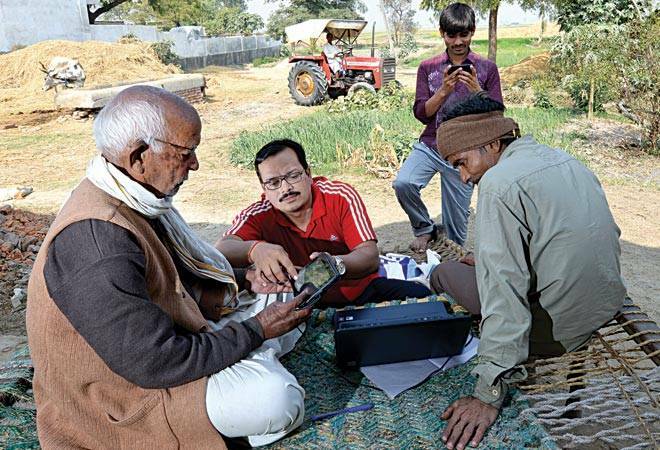 "By the end of 2017/18, high-speed broadband connectivity on optical fibre will be available in more than 1,50,000 gram panchayats, with wi-fi hot spots and access to digital services at low tariffs," he said. Once that fibre cable reaches the doorstep of every gram panchayat, all companies in the business of providing equipment and services will be able to capitalise on the infrastructure by connecting with individual villages. Industry watchers view the opportunity as a multi-billion dollar windfall. Vendors selling routers, switches, wi-fi equipment, last mile cables, IT services companies and system integrators can all cash in. Telecom companies, as well as start-ups, can provide value-added services. Such connectivity will also boost distance education and rural e-commerce. But none of these are likely to happen in the short term. "Over the next three to five years, this will be a multi-billion-dollar opportunity for the IT industry," says Jaideep Mehta, Managing Director of IDC India and South Asia. "There are two phases -- first, switching on the broadband and, second, the maintenance and upgrading part of it. It is not an one-off opportunity; it is a long-term opportunity." That access to broadband significantly boosts economic growth has been confirmed by the World Bank. One of its estimates maintains that a 10 per cent increase in broadband penetration accelerates economic growth by 1.38 per cent in low and middle-income countries. However, the gain for tech companies will be linked to the pace of implementation, which thus far has been disappointing. The BharatNet project - earlier called the National Optical Fibre Network (NOFN) - was launched by the United Progressive Alliance (UPA) government in 2011. It was slated for completion in two years at an estimated cost of Rs20,000 crore. The idea was to connect 2,50,000 gram panchayats in the country by utilising existing fibre networks of public sector units and laying incremental fibre wherever needed. But over five years, only 84,575 gram panchayats have been covered by optical fibre cable (OFC) pipes - and of these, the optical fibre has been laid only in 76,089 panchayats. But this time, the tech industry, which often oscillates between hope and despair, believes the government will not falter on execution, considering the emphasis on technology throughout the Budget speech - there were 27 mentions of the word 'digital'! IT Industry lobby body NASSCOM also sees business opportunities because of initiatives such as the online education project SWAYAM, the emphasis on indigenising Metro Rail networks, and the proposal to establish a web-based interactive pension disbursement system for defence pensioners. Jagdish Mitra, who heads strategy at Tech Mahindra, says that any technology change begets significant opportunities for the IT industry to create platforms and thereby revenue streams. Although no one can estimate in advance the size of a project like the pension disbursement system, it would surely require hardware and software that is leveraged on the cloud, and a system integrator to stitch all the components together to work the back-end with administrative systems. "You will probably need a digital app for pensioners to interact with the bank. You will also need a significant amount of information security," he says.